GENEVA, (Reuters) - Little-known firms claiming to have privileged access to prized sweet crude oil from Nigeria are offering to sell it at such deep discounts that traders say the deals are too good to be genuine. Documents seen by Reuters show spot cargoes of several hundred thousand barrels of crude can be picked up at discounts of up to $10 million. But the documents are suspiciously flawed, suggesting the financial scams for which Nigeria, Africa's most populous nation, is notorious have spread to its oil sector. State oil company Nigerian National Petroleum Corp has placed a "Scam Alert" on its website warning of "unsavoury characters purporting to be bona fide staff of the NNPC or contractors to NNPC or purchasers of Nigerian crude oil or contractors to the Nigerian government". The sellers include one UK-registered firm purporting to be near the top of a sales chain in which oil cargoes can change hands up to half a dozen times before being refined. Two of the firms contacted by Reuters said they were able to sell oil cheaply because of special access to NNPC contracts. The documents point to the difficulty faced by Nigerian President Goodluck Jonathan in making reforms when there is considerable doubt over who is responsible for selling the oil. Nigeria has pledged to take measures to fight corruption in the oil sector after a hike in state-subsidised petrol prices sparked mass protests in January. One recent step has been the creation of higher barriers to entry for participation in NNPC's 2012-2013 term allocations. The results have not appeared since the initial tender document was released in March. On Tuesday Jonathan sacked the managing director of the NNPC and three other senior directors. "To further strengthen the ongoing reforms ... and in furtherance of efforts to achieve greater transparency and accountability ... President Jonathan has approved the re-composition of the executive management team of the NNPC," an official statement said. Alexandra Gillies, governance adviser at Revenue Watch Institute, said the proliferation of middlemen involved in selling Nigeria's oil since Jonathan's election last year had resulted in considerable uncertainty over ownership. "If NNPC only issued term contracts to companies with the capacity to lift crude, then nobody would be able to pose as a company flipping (reselling) a cargo. The confusion is a symptom of Nigeria's sub-optimal system for selling its oil," she said. A report that government-funded watchdog the Nigeria Extractive Industries Transparency Initiative (NEITI) sent to the authorities in January showed billions of dollars missing from Nigeria's oil revenues. Five written offers reviewed by Reuters show a close resemblance to official paperwork circulated among traders, including documents attributed to NNPC, stamps from terminal operators and shipping lists with vessels and loading dates. They include arcane oil market jargon such as 'laycan', which refers to the timeframe for loading and 'STS' meaning ship-to-ship transfer of the cargo. One shipping list showed a tanker called the 'Elsa Craig' - a name close to an actual Panama-flagged crude oil tanker called the Ailsa Craig 1 - next to other cargoes booked by western oil majors such as Chevron. "They are full of imagination," said a West African oil trader, commenting on the document. A second oil trader with a London-based oil firm suspected that some of these offers were attempts to resell the oil siphoned off by thieves in the Niger Delta, since the majority of offers were for the local grade Bonny Light. "A lot of this oil on the side may be bunkered (stolen) and does go to people in the Delta to sell. It's a side business and I think some buyers are doing good business there," he said. A third oil trader said he had considered buying a cargo from an Abuja-based company called Sunny Industrial Lubricant but rejected it only after a member of the compliance team noticed a flaw in the NNPC logo. NNPC's logo - a green, red and yellow wagon wheel - has 20 spokes compared with 22 on this document. "We discovered that the logo was not fully accurate. It's difficult to distinguish and it's a big risk," said the oil trader who asked not to be named. When contacted by Reuters via email, the firm's chief executive, Sunny Eze, said he was able to gain access to oil produced in excess of Nigeria's official OPEC production target, known as 'off-OPEC' crude. "Our company outsources crude oil for buyers from NNPC bulk allocation, otherwise known as OFF-OPEC. We are using our strong influence with NNPC JVC to outsource and deliver products to interested buyers," he said in an emailed response to Reuters' questions about the company. OPEC has not assigned individual OPEC country quotas since last year. Another firm, the UK-registered Current Energy, said in an offer letter that it was reselling 5 million barrels a month of the benchmark Bonny Light grade obtained from an NNPC contract holder at $6 a barrel below the market price. This amounts to a saving of $6 million per cargo, about 7 percent on a cargo that would currently cost around $90 million. 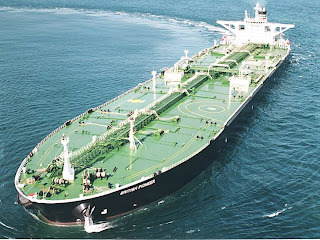 Reuters shipping data showed that 4 million to 8 million barrels of this grade, sourced from the Niger Delta, have been available for export monthly this year. When contacted by Reuters, company director Akin Aboaba said he was reselling oil obtained from an NNPC contract holder who had received the oil to compensate for oil spills from regional pipelines. Nigeria's oil is sold by equity holders including oil majors Total and Royal Dutch Shell, which have a stake in production and via term contracts handed mostly to oil trading firms. The large number of companies involved in selling oil via term contracts means it can be tough for even experienced traders to tell the difference between real and fake offers. Industry sources said the number of companies selling Nigeria's oil increased dramatically after Jonathan's election as part of a strategy to broaden local participation in the country's oil sector. But critics point to this as an example of the cronyism that is helping to buttress support for Nigeria's political elite. "It will be interesting to see whether the issuing of the latest crude tender to include Nigerian companies is a return to the political patronage of the past dressed up as increasing Nigerian content," said an oil industry consulting source in Nigeria. Under every new regime, military or civilian, the list of those authorised to sell Nigerian crude is usually torn up and a new one issued to include friends of the new government. Last year's allocation list showed a considerable increase in recipients from 2010 and had more than 40 names ranging from top commodities trading houses such as Glencore and Trafigura to little-known Nigerian firms including Masters E. and Delaney. 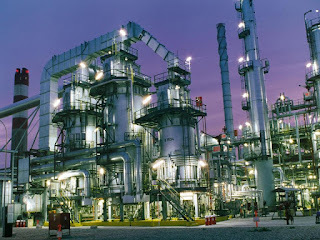 "NNPC makes a lot of decisions in an opaque way, without much oversight ... Politics and discretion likely play a big role," said Revenue Watch's Gillies. The firm’s director Austen Oniwon has been replaced by chemical engineer Andrew Yakubu. "To further strengthen the on-going reforms... President Jonathan has approved the re-composition of the executive management team of the NNPC," a statement from the president's office read. Nearly five months ago, the country saw its former corruption chief appointed to head a new task force. Nuhu Ribadu leads a team to police the oil sector by tracking revenues paid to the government while monitoring oil production and exports. This is the latest as NNPC has faced a string of negative publicity recently from scam artists to losing a member of its staff in a recent plane crash. ABUJA, Nigeria (AP) - Nigeria's House of Representatives voted Friday to remove a lawmaker from a probe into the country's mismanaged fuel subsidy program over allegations that he took a bribe from an oil company. Rep. Farouk Lawan of the country's ruling People's Democratic Party missed the hearing in Nigeria's capital, as police detained him the night before for questioning over an alleged $620,000 bribe paid by an oil company owner who has ties to President Goodluck Jonathan. Lawmakers unanimously voted to suspend Lawan from the probe and begin investigations into the actions of a legislative staffer. 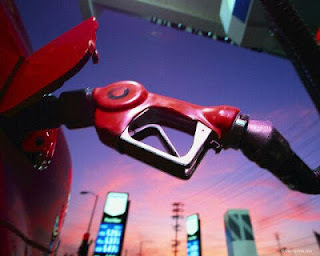 The probe uncovered that the fuel subsidy program wasted billions of dollars. Lawan remains a lawmaker in the House, the lower legislative body of the country's National Assembly. He could not be immediately reached for comment Friday. House Speaker Aminu Tambuwal told lawmakers during the nationally televised hearing that the accusations should not taint the probe's discovery of "monumental fraud." The probe called for $6.7 billion to be repaid by importers, the state-run Nigerian National Petroleum Corp. and other agencies. "We reject in totality insinuations ... that the effect of the allegations have eroded the integrity or recommendations of the report," Tambuwal said. Confusion still surrounds the bribery allegations, which involve billionaire Femi Otedola, who runs Zenon Petroleum & Gas Ltd. and was an ardent supporter of Jonathan during the 2011 presidential campaign. Lawmakers did not discuss details of the allegations during their emergency session Friday. Frank Mba, a federal police spokesman, said Friday that Lawan appeared at police headquarters in Abuja for questioning Thursday afternoon and had been detained overnight. Mba said police took the allegations seriously. The investigation by lawmakers began as a response to the national strikes and protests that paralyzed Africa's most populous nation in January following the removal of popular subsidies on gasoline that kept prices low. On the orders of Jonathan's administration, prices at the pump jumped Jan. 1 from 45 cents per liter ($1.70 per gallon) to at least 94 cents per liter ($3.50 per gallon). cents a liter ($2.27 a gallon) to stop the six-day national strike. The president also deployed soldiers into Lagos and other cities in the country who blocked demonstrators and at times fired live ammunition and tear gas. The subsidies, in theory, keep prices artificially low for buyers while paying companies for bringing in refined gasoline at a loss against the world market price. Nigeria, despite producing about 2.4 million barrels of oil a day, has decrepit refineries unable to meet the nation's demand for gasoline due to years of mismanagement and sabotage. However, gasoline importation licenses became a means of patronage, as the number of companies involved jumped from six in 2006 to 140 in 2011, according to the report. In 2009, when there were 36 companies licensed to import, government officials once issued about $800 million in 128 transactions in a 24-hour period without proper documentation, the report reads. Companies also won approval without any real oversight. In one case, two businessmen who made a pitch to handle waste management at the Nigerian National Petroleum Corp. instead applied to become importers and got a $12.4 million contract in 2011 for fuel it never supplied, according to the report. Jon Gambrell contributed this report from Lagos, Nigeria. The price of crude oil fell Tuesday to less than $79 per 42-gallon barrel on the U.S. wholesale market, leaving the commodity down by about a third since early March. At its current price, retail gasoline could soon fall to as low as $3.10 per gallon, analysts said Tuesday. Crude oil for August delivery, the most actively traded on the Comex, fell to an intra-day low of $78.36 before trimming its losses and edging up to $79.07. Since March 1 the price of crude oil has fallen 28.19 percent as fears of a global economic slowdown replaced worries about a conflict between Iran and Western powers over the Islamic Republic's nuclear program. Capital Economics said in a note that the crude oil price drop since March "suggests gasoline prices will soon drop to an 18-month low of around $3.10." A widening contango structure in oil prices, in which future crude costs are higher than near-term ones, may spur demand to store crude on tankers, said Fotis Giannakoulis, a Morgan Stanley analyst. Brent crude futures for October cost about 33 cents a barrel more than first-month contracts, compared with a discount of about $2.44 in mid-May, according to ICE Futures Europe. Storage at sea may rise if the current contango widens to about $1.30 a barrel, an amount that would cover the costs involved in hiring tankers, Giannakoulis said in a note. PORT ARTHUR, Texas -- Motiva Enterprises on Thursday unveiled its completed $10 billion expansion of what is now the largest U.S. refinery, and one of the world's top 10, planned six years ago to serve what once seemed to be a growing appetite in the planet's hungriest fuel market. However, a major financial crisis and increased efficiency have pushed US fuel demand to 11-year lows, and experts say that the gasoline and diesel coming out of the facility will instead help strengthen the country's new role as a fuel exporter. 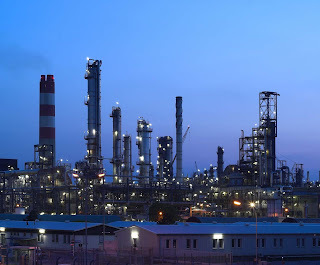 Motiva, a joint venture between Royal Dutch Shell and state-owned oil behemoth Saudi Arabian Oil Co., or Saudi Aramco, still thinks US fuel demand is strong enough to handle the refinery's output of 600,000 barrels a day and make it a profitable facility. "But clearly exports are part of that thinking," Shell's Chief Executive Peter Voser said at the opening ceremony. Markets include Latin America's booming economies, or emerging, far-off destinations such as West Africa. The Motiva expansion, which accounts for 325,000 barrels of the refinery's daily capacity, is not only about processing more crude; it allows the refinery to process a wider variety of crude types, from Canadian heavy oil crude to Saudi sour. 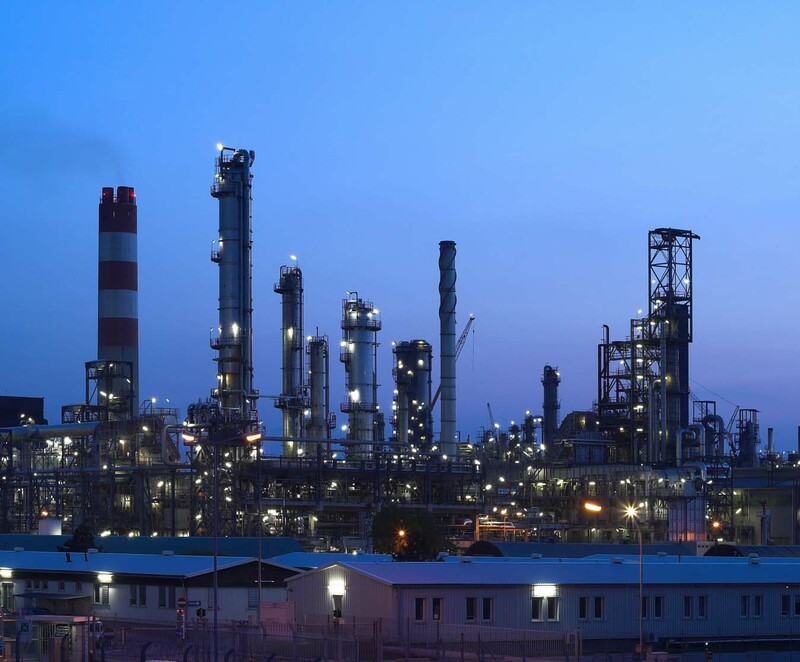 Such adaptability will make it one of the world's most efficient refineries, executives said. However, it will still meet the same profitability challenges that have dogged most US refiners since the financial crisis emerged. Fuel demand has fallen precipitously amid increased vehicle fuel efficiency, growing use of biofuels, and a tepid economic recovery. BP, Sunoco and others are trying to sell refineries amid a dim outlook on the business. Analysts said that the boost in supplies from Motiva could cause gasoline prices to sink slightly. Running the facility at the industry average of 90 percent of capacity would produce more fuel than the US market needs. Motiva's potential as an exporter underscores the US's new role as a net fuel exporter. Even though the US still imports a significant portion of its crude oil, last year it became a net fuel exporter for the first time since the end of World War II, thanks to the combination of tepid domestic demand, bad refining economics in Europe, and Latin American growth. The US exported a net 840,000 barrels of fuel a day during the first three weeks of May after being a net importer for much of last year, according to the latest data from the U.S. Energy Information Administration. CARACAS, (Reuters) - Venezuelan state oil giant PDVSA has had to buy dozens of extra fuel cargoes from countries as far away as Estonia and Saudi Arabia to keep up its side of a 2008 oil supply deal with leftist ally Ecuador, according to traders and sales documents. In an examination of shipping data that highlights the practical risks of political trade deals, Reuters found that half the fuel Venezuela sent to Ecuador, which cannot process its own heavy crude, came from third countries, often via trading companies including Glencore. What was meant to be an example of cooperation between ideologically aligned states, with Venezuelan President Hugo Chavez importing Ecuadorean crude in return for refined fuel, has instead become another sign of problems in PDVSA's refining network and a profitable niche for foreign traders. It is also the latest indication of difficulties for PDVSA, one of the world's biggest oil companies and the cash cow of Chavez's "21st century" socialism. In an election year in Venezuela, PDVSA's finances are under growing pressure as Chavez digs deep into its coffers to fund welfare programs. The shipments to Ecuador were corroborated by some traders involved in the deals - and show that the system appeared to stumble after its first year. So Venezuela turned to third countries and traders, often derided by Ecuadorean President Rafael Correa as speculators, for many of the supplies. Sources said Venezuela paid the transport costs for bringing cargoes from countries that also included Britain, France, the Netherlands and Colombia. "PDVSA has made deals but then doesn't have the agreed products, whether due to problems with refining, production or quality," said one trader involved in the transactions who asked for anonymity. 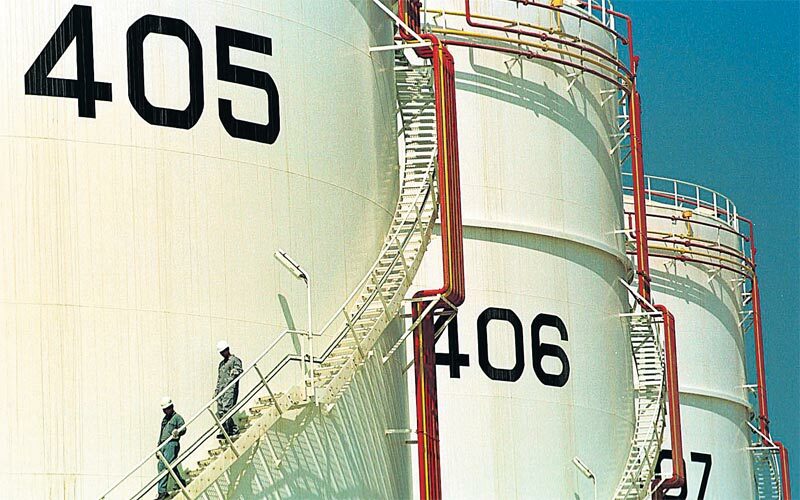 The bottlenecks in PDVSA's refineries - from accidents to outages and unplanned stops for maintenance - are well-known. But the dynamics of the Ecuador deal underscore a less familiar truth: as Chavez inks ever-growing numbers of pacts with political allies, PDVSA has found itself in the improbable role of middleman. 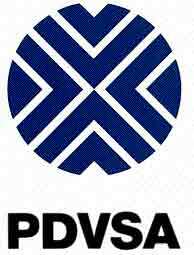 PDVSA officials did not immediately respond to a detailed request for comment. Trading companies Glencore, Trafigura and PRSI Trading were hired by PDVSA to buy fuel for Ecuador on the open market, the details of the transactions showed. Between 2009 and 2011, 53 percent of Venezuela's shipments to Ecuador were sourced from third countries, with traders accounting for 39 percent, according to a database of the shipments compiled by Reuters and Armando.info, a Caracas-based network of investigative journalists. 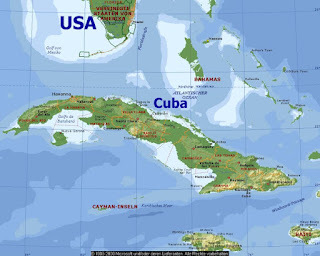 The remaining 47 percent came from Venezuela and its overseas storage and refining facilities, according to the study. In total, shipments valued at $947 million were put in the hands of intermediaries during that 2009-11 period. It was not clear how much traders made on the deals. The agreement signed with much fanfare by Chavez and Correa four years ago s ays state oil company Petroecuador would supply Venezuela with Ecuadorean crude for processing by PDVSA refineries, and would receive fuel in return from Venezuela. That way, the accord said, it will "eliminate intermediaries from direct participation in the buy-sell process." Nevertheless, the Venezuelan government says it always planned for there to be scope in the agreement to vary where the crude was sent, and where the products for Ecuador were sourced. "What we are doing is a triangulation," Venezuelan Energy Minister Rafael Ramirez said when asked by Reuters about the agreement, referring to the practice of receiving Ecuadorean crude then sourcing refined products from abroad. "We receive their oil and we determine its value carefully. It is sold, and we get the products they need, of the quality they need, and it is sold to them." The Ecuador deal is one of a host of oil deals that Chavez has signed with political allies - including China, Cuba and more than a dozen other nations in Central America and the Caribbean - many of which have been criticized by Venezuela's opposition before the Oct. 7 presidential election. The opposition says Chavez rewards allies with crude on easy terms, including nations with questionable rights records such as Syria, Iran and Belarus. His government routinely dismisses such criticism as "counterrevolutionary" lies. Chavez's government has also funded literacy programs, schools and health clinics in several leftist Latin American nations, winning him political influence in recent years and prompting some leaders to turn their backs on Washington and strengthen relations with China and Russia instead. The oil agreements are a major factor putting pressure on PDVSA's increasingly constrained cash flow: in some cases, customers pay for shipments in exchange for goods and services. The company also has to contend with falling global prices, and heavy local subsidies that mean Venezuelans enjoy the cheapest gasoline in the world. To be sure, PDVSA still has a lot of financial clout. Its net profit jumped 42 percent to $4.5 billion last year on record revenue of almost $125 billion. And it is still able to make huge contributions to Chavez's government - they doubled last year to nearly $50 billion - that help pay for his signature social programs, a central element of Chavez's re-election bid. Companies including U.S. majors Chevron and Exxon Mobil Corp, Brazil's Petrobras and Petrochina also delivered cargoes to Ecuador on PDVSA's behalf under the deal, according to the bills for the shipments. Individual traders confirmed the trend and various transactions involving their companies. They said Venezuela's state oil company does the same thing to cover shortfalls in supply deals with other countries. Data on those agreements was not immediately available. "PDVSA buys in the same way to supply Argentina, Uruguay and Bolivia," a trader told Reuters. It would not be the first time Chavez's administration has worked with Western traders: Trafigura helped it beat a months-long, opposition-led strike that all but halted operations by PDVSA's own tankers during 2002 and 2003. Part of the problem is that Ecuador produces heavy crude, like the majority of Venezuela's oil, meaning there is competition for access to Venezuelan refineries that process it. That was cited by Venezuela's government in 2007 as one of the main reasons why the two nations had not signed a similar agreement earlier. But Ramirez later said it had been decided that PDVSA's U.S. refining subsidiary Citgo would handle some of the cargoes from Ecuador, with the rest going to Venezuela. Sourcing fuel cargoes going the other way has proved expensive. For example, in June 2009 Trafigura chartered the Bright Express tanker to ship 263,500 barrels of catalytic naphtha, used for making gasoline, to Ecuador from Yanbu in Saudi Arabia. Maritimes sources say that journey alone will have cost PDVSA some $1.2 million. "Trafigura was carrying a lot from Venezuela to Africa that year, so certainly it suited it to do the return journey bringing (products) from Yanbu," said a maritime source involved in PDVSA's shipping logistics. "These are business opportunities that traders can't ignore." Asked by Reuters about the agreement, Petroecuador's general manager, Marco Calvopina, said it had always been expected that PDVSA might procure Ecuador's fuel from third countries. "They handle big volumes of oil products. They can always find them on better terms than Petroecuador," Calvopina said. "We have always compared the prices Venezuela offers us against the market ... sometimes we take them when it's convenient for the state, and on other occasions we have not." Petroecuador has complained to PDVSA about the delayed arrival of some cargoes, and at times about the quality of the fuel delivered, the study of the shipping records showed. Ecuador, OPEC's smallest member, currently pumps around 500,000 bpd of crude, just about a sixth as much as Venezuela. As part of a big plan to revamp its fuel production and become an exporter within three years, Ecuador is investing $750 million to boost efficiency at its largest refinery, the 110,000 bpd Esmeraldas facility, and will invest an additional $600 million to enable it to make higher-quality products. It says it also plans to spend $800 million overhauling its smaller Shushufindi refinery in the Amazon region. At the center of the efforts is another project that also involves Venezuela: the construction of the 300,000 bpd, $12.5 billion Pacifico refinery, a PDVSA-Petroecuador joint venture slated to begin production in 2015. Ecuador says it is in talks with China about financing for it. In April, Ramirez hailed Ecuador for "strengthening its capacity" to distance itself from market intermediaries who had undervalued its crude. A month later, Ecuador's foreign minister, Ricardo Patino, was in Caracas for talks with officials. He said the two nations' collaboration should inspire similar pacts worldwide. "We are an example that can be turned into a form of global exchange," Patino said. President Goodluck Jonathan yesterday described Nigeria as the only country in the world where crude oil is stolen at an alarming rate, saying the situation has reached the stage of a full-blown cancer. He also said he has not decided whether to run for the presidency in 2015, as he needed more time to attend to security and economic matters plaguing the country before thinking of 2015 politics. While responding to questions at a "Presidential Media Chat" televised live last night, Jonathan said while the issue of whether he will seek a second term in 2015 was overheating the country's political environment, "it is not proper for a Nigerian president to make comments on 2015 at this stage". Hinting that he would make his decision public by the end of 2013, the president urged Nigerians to allow him to use two years-plus to tackle economic and security issues. He cited a country like Ghana where, he said, things are haphazard because, right from day one after their general elections, campaigns begin in top gear for the next one. "Let us leave 2015 issue. When INEC opens the gate we will know who is to contest and who will not contest," he said, adding that he should not be dragged into making statements that the media could begin to mis-interpret the next day. 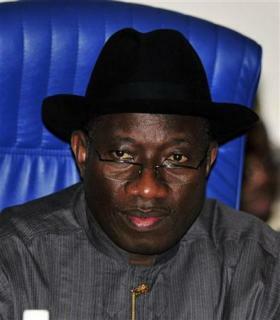 Expressing worry over crude oil theft in Nigeria, Jonathan said: "The stealing of crude oil appears to be in Nigeria. It is not happening elsewhere. It is like a cancerous cell. A cancerous cell starts developing somewhere in your body, either in your prostate region or in your breast and they won't notice it still; or probably when they notice it, they think that it is ordinary boil. It gets to a point where, when they know, they cannot control it. "We have held serious meetings between security services, the private sector like Shell and all the key oil players. We have been holding meetings. They will have to stop it. But it is like allowing a cancerous cell to develop a major tumour that even spreads to the critical organs. So, we need stronger effort. We need to spend more money than to spend more days in the hospital. That is where we are. We will crush it; we are on it. Because there is no county where they are stealing crude oil the way they are stealing in Nigeria." Noting that classifying the stealing of crude oil as oil bunkering was not proper, the president said, "the word bunkering I knew when I was in the customs in Port Harcourt, happens in a way that when ships come, there are big companies that are legalised to go and sell them in water. But, here, somebody goes there to open a pipe and steal crude oil and they call it bunkering. I don't know whether, technically, it's bunkering. I call it crude oil stealing. It is not bunkering. 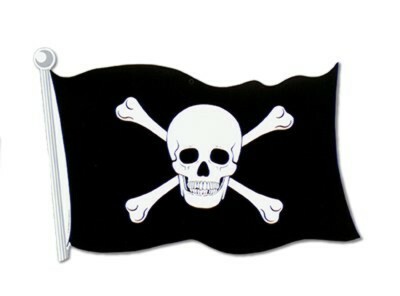 Those who still crude oil are thieves. They are common criminals." The president, however, disagreed that Nigeria is broke, even as he said the country boasts about N34 billion in its foreign reserves. 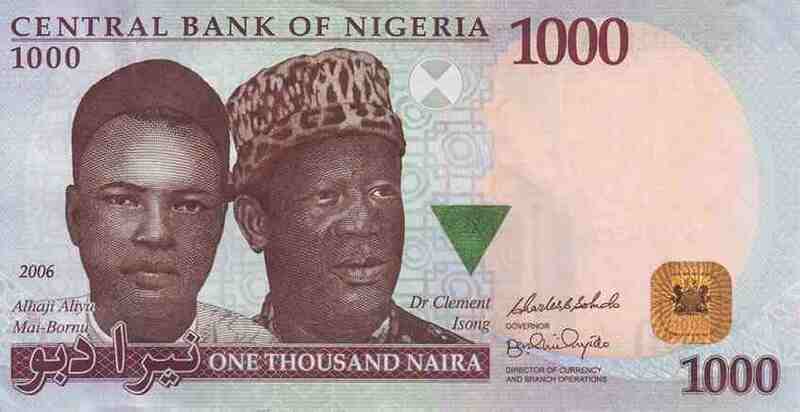 "If we are broke, nobody will come and invest here. The Chinese will run away, the Indians will run away," he stated. Jonathan also opened up on why he removed his former national security adviser, General Andrew Azazi, and erstwhile defence minister, Dr Halliru Bello, saying the changes became necessary to meet up the standard of security operations in the war against terrorism in the country. Although he noted that Azazi's removal was not as a result of incompetence, the president implicitly hinted of the former NSA's failure when he pointed out that he would continue to "make changes in the security apparatus to make it more responsive to the exigencies of the moment". According to him, the removal of Azazi as NSA was part of such changes and adjustment to meet the standard in security operations in the country. On his official visit to Brazil when the country was on fire following the reprisal attacks that trailed the bombings of churches in Kaduna and Zaria, killing over 70 people and injuring about 100 persons, President Jonathan stated vehemently that he did not regret attending the UN Earth Summit in Brazil, saying he will not allow terrorists to stop him from functioning as a president. According to him, the aim of terrorists anywhere in the world is to disrupt the government and stop the president from functioning. He said, "If I had panicked and was stopped from travelling to Brazil last week, the terrorists would have achieved their main objective and a wrong signal would have been sent out to the international community that even the president is being held hostage. The day the international community gets to know that the president of Nigeria is tied down because of Boko Hram, then, we are finished. "When I was in Brazil, I got a lot of calls from Nigerians expressing worries that the country was burning and I went out of the country. People who got worried that I travelled got worried out of ignorance. The day the international community knows that the president, the vice president or Senate president cannot travel because of Boko Haram, then, we are finished. Boko Haram cannot bring this country to its knees." Noting that he will not let terrorism weigh his government's activities and programmes, he noted, however, that he would be ready to engage in dialogue with members of the terrorist group if they show their faces, adding that since they are Nigerians, he would not want any of them to die. Expressing his readiness to engage members of the Boko Haram sect in constructive dialogue and, if possible, send them for training anywhere in the world so that they would contribute to the development of the country, the president promised to continue to encourage people like Dr. Datti Ahmed to facilitate dialogue with the terrorists. He refused to say why he promised that terrorism would be brought to an end by June that saw Boko Haram activities reaching top gear in the country. He maintained emphatically that the menace would soon come to an end. On corruption, Jonathan said his choice of Ibrahim Lamorde as EFCC chairman was informed by the fact that he will be able to deliver and not somebody he could control. "Lamorde investigated me when I was governor of Bayelsa State. So, if I need somebody I should control, I wouldn't have chosen Lamorde. I have confidence in Lamorde." On why he has not declared his assets, Jonathan said it is a matter of principle. He wondered why so many people bring issues and begin to play politics on them when it is not the president declaring assets that stops Boko Haram. He said there is no difference between when he declared his asset as vice president now that he is president, adding that, even as vice president, he had acquired what he needed to acquire. He said if he had something to hide in the ongoing subsidy probe, he wouldn't have brought Nuhu Ribadu, former EFCC chairman and presidential candidate of the Action Congress of Nigeria, to chair a task force, just as he disclosed that he had ordered the EFCC to go and investigate some bank accounts in US. Denying that he was not and is not part of any witch-hunt of suspended chairman of the House committee on subsidy probe, Farouk Lawan, Jonathan said if he had any plan to go after Lawan, he would not have used oil magnate Femi Otedola who is a businessman. Explaining his closeness to Otedola, the president said most business men like Aliko Dangote had been members of the Economic Management Team right from the regime of former president Olusegun Obasanjo and they are not being paid, but they are always around the presidential villa for economic meetings. He also said that he enjoys a good relationship with the National Assembly against insinuations that a cold war was brewing between the executive and the legislative arms of government. He, however, added that it "is not as if there are no issues" between the executive and the legislature. Reacting subtly to the recent invitation by the House of Representatives that he and his security chiefs should appear before it, Jonathan said, "There are some issues. It is in the National Assembly that the opposition show their relevance. They cannot come to ministry of education. If you invite the minister of agric to come 1,000 times to explain himself, it cannot stop him from doing his work." Noting that people leave the substance to pursue the shadow whenever they criticise him, Jonathan said he is a calm person who is being misunderstand by a lot of people. "I am such a person that even you are telling me rubbish, I will sit down, calm and listen to you even if I know you are talking rubbish," he said. Asked whether Nigerians should still trust him, Jonathan answered in the affirmative, just as he ruled out criticisms on social media against his government, saying most of he criticisms against him on social network always come from one source. He said, "One person can replicate a message many times and people begin to think that the whole country hates you. I told people working with me that they should close their ears because people will abuse you, but by the time we get to 2013, people will begin to appreciate what you are doing". Likening Nigeria to a forest, the president said he had given himself 12 months for Nigerians to abuse him. "They have not even been abusing me much, but by the time you begin to see the outcome of what we are doing, they will begin to appreciate," he stated. The summer heat has descended on financial markets, melting away hopes for a stronger economic recovery. In New York the temperature just about hit 100 degrees on Thursday and a season that has in recent years been brutal for financial markets has begun. The economic data on the second day of summer were grim, showing a decline in both existing U.S. housing sales and, according to the Federal Reserve Bank of Philadelphia’s economic index, in manufacturing. Chatter mounted in the afternoon that Moody’s Investors Service was set to finally strike big global banks with the credit downgrades the credit agency has been working on since the winter, which would increase borrowing costs and potentially limit some of their trading activities. Early in the evening, Moody’s announced downgrades for 15 banks. The worst hit was Credit Suisse, which was dropped three notches. Moody’s made two-notch downgrades to Morgan Stanley, Goldman Sachs, JPMorgan Chase and Citigroup. U.S. stocks took a pounding. The S&P 500 stock index tumbled 2.2% and the Dow closed down 250 points. Goldman Sachs told its clients to short the U.S. stock market, forecasting a more than 5% stock market drop. U.S. Treasury bonds look better than ever for investors looking for a safe haven from the summer heat. The Moody’s downgrades not only impact the banks directly, but other seemingly safe financial assets like money-market funds, for example, that invest in bank debts might look a little less attractive to the risk-averse investor because of the downgrades. The benchmark 10-year U.S. Treasury yield fell back down to around 1.6% on Thursday. It might be summer, but investors are jumping out of the risk-on swimming pool. Investors who were betting on a lot of market support from central banks are clearly disappointed with Ben Bernanke and the Federal Reserve’s decision yesterday to only initiate a new round of Operation Twist, even though the Fed’s own statistics showed a slowdown in U.S. economic growth that suggests stronger action is required. The euro also fell on Thursday against the U.S. dollar as worries about the euro-zone continued to weigh on markets. Spain had to boost the yield on its short-term bonds to a record level just to sell $2.8 billion of them, and an audit revealed Spain’s troubled banks had a $78 billion capital shortfall. The summer has often been a time in recent years when sunnier outlooks for financial markets have faded. The summer of 2012 is getting off to an ominous start. Schlumberger announced the introduction of the NeoScopesourceless logging-while-drilling formation evaluation service based on pulsed neutron generator technology that eliminates the need for chemical sources. Unique NeoScope technology provides real-time measurements close to the bit to guide interpretation and decision making in all drilling environments. "With its compact design and neutron-on-demand technology, this service saves rig time, reduces risks and provides a comprehensive suite of petrophysical measurements," said Steve Kaufmann, president, Schlumberger Drilling & Measurements. "With more than 200 jobs conducted in the field test phase for customers in over 30 countries, the NeoScope service has demonstrated its ability to provide high quality data while lowering operational and technical risk." Schlumberger has field tested the NeoScope service extensively for the last four years in a wide range of formations and environments that range from tight carbonates to conventional clastics to validate the measurement response. Schlumberger technical experts have also verified the challenging measurement physics through extensive modeling and experimentation both in the laboratory and the field. Typical of the jobs run during the field test phase, the service was used to acquire a full suite of petrophysical measurements in a directional exploration well in Africa, where poor borehole conditions prevented wireline tools from reaching the entire interval of interest. The NeoScope measurements acquired helped save the customer seven days by eliminating the time and cost associated with chemical source deployment while providing the data required to successfully evaluate the well. The NeoScope service offers a full suite of sourceless formation evaluation measurements, including spectroscopy, sigma, neutron porosity and neutron-gamma density. The service also delivers gamma ray images and array resistivity measurements for well placement. A set of ultrasonic calipers and a full drilling mechanics package complete the measurement and interpretation suite that helps optimize the drilling process. VLCCs are affected more than any tanker type with the fluctuating bunker prices, due to the large tankers spending more time at sea and consuming more fuel oil. Although the current lower bunker prices have the potential to boost earnings significantly for the owner, spot Worldscale rates are falling even faster and so TCE earnings have dropped sharply in recent weeks, Gibson Research said in its weekly report. Bunker prices have been steadily falling since February of this year, but more dramatically in the past month, with the downwards pressure on oil prices. Since the start of March 2012, the average weekly price of 380 Cst fuel oil in Fujairah has decreased by $129 per tonne (down 17%), reaching an average $617 per tonne last week. Oil prices are also down and Brent is at its lowest since January 2011, after falling below $100 per barrel to just over $97 recently. The fall comes as a result of a weak economic outlook, a worsening debt crisis in Europe and a steady rise in global crude stocks. The average TCE earnings on the TD3 route (based on slow steaming) have dropped 73% from their recent high of $47,500 per day at the start of April to only $13,000 per day last week; the lowest level since October 2011 and near average VLCC operating costs, minus finance. In a stronger market, the relative reduction of an additional $100 per tonne in bunker costs would bring significant value to owners. However, in a falling market, it can only bring them frustration, Gibson said. This scenario is similar with Suezmaxes, but not as extreme, as earnings were down 43% from their May 2012 high of $36,500 per day, to $20,750 per day as of last week. This downwards trend in oil prices could exacerbate in the short-term, riding on the back of continued economic concerns, high crude production levels and record stock levels in the West. It then remains to be seen if owners can hang on to, or even push up current spot rates to reverse the decline in earnings, Gibson said. However, the fundamentals are currently relatively weak and the outcome of last week’s OPEC meeting to maintain production limits is neutral, as opposed to the potential positive developments from the Saudi proposal to raise output and the negative implications of other OPEC members’ call to cut output. This leaves the potential repercussions from Iranian sanctions as the likely key market driver for higher VLCC earnings in the next few months. The Organization of Petroleum Exporting Countries will trim exports as Gulf producers led bySaudi Arabia pare a surge in output, according to tanker-tracker Oil Movements. OPEC, responsible for about 40 percent of global supplies, will reduce shipments by 20,000 barrels a day to 23.92 million a day in the four weeks to July 7, compared with 23.94 million to June 9, the researcher said today in an e-mailed report. The data exclude Angola and Ecuador. The group pledged to constrain supplies at a meeting last week in order to comply better with its collective production target. Exports from the Middle East, including non-OPEC members Oman and Yemen, will slip 0.5 percent to 17.58 million barrels a day in the four-week period, according to Oil Movements. Crude on board tankers will average 496.81 million barrels, up 3.9 percent from the month to June 9, the researcher said. 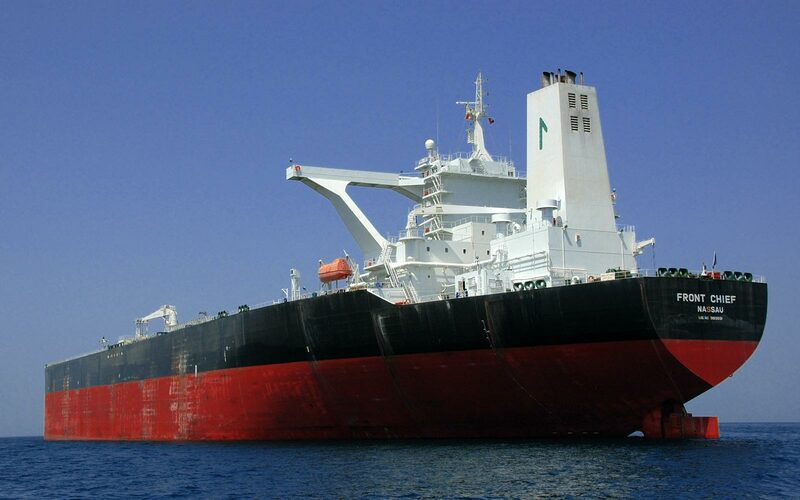 Oil Movements calculates shipments by tallying tanker-rental agreements. Its figures exclude crude held on board ships used as floating storage. OPEC comprises Algeria, Angola, Ecuador, Iran, Iraq, Kuwait, Libya, Nigeria, Qatar, Saudi Arabia, the United Arab Emirates and Venezuela. Renewable energy company Biox will build its second biodiesel production facility within International-Matex Tank Terminals' (IMTT) Bayonne terminal at New York Harbor after the two companies signed definitive agreements. Biox designs, builds, owns and operates biodiesel production facilities. Its first facility is located in Hamilton Ontario. The $60 million (€47 million) Bayonne plant will be Biox's second project, with a planned 100 million litre a year production capacity. Under the agreements, Biox has secured 3.5 acres of IMTT's 600-acre Bayonne terminal. 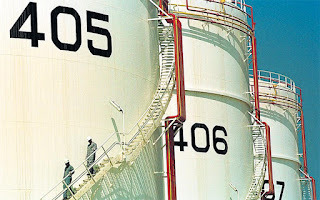 The agreements include a long-term land lease agreement for the plant, as well as long-term leases on existing storage tanks at IMTT New Jersey terminal. 'With this second facility our production capacity will grow by almost 150% from existing levels,' explains Biox CEO Kevin Norton, who says the biodiesel sector within North America 'has evolved due to the mandated minimum volumes'. Biox is currently carrying out the planning and permitting phase and expects construction of the plant to be finalised by December 2013. Be careful when opportunities to invest in Nigeria’s petroleum industry fall into your lap. According to the country’s state-run’s firm NNPC, crooks are using group MD Augustine Oniwon’s name to defraud people, in and out of Nigeria, of funds under the pretext of investments in the petroleum sector. Raising the alarm over this “widespread impersonation of his person through the use of various internet media,” in a statement was acting group GM, Public Affairs Fidel Pepple. He cautioned both Nigerian and international investors saying that the perpetrators were in possession of fake letters and official documents with which they use to perpetuate the fraud. It was stressed that if you are contacted by someone claiming to be Oniwon by Twitter, Facebook, and/or LinkedIn it is the criminals as NNPC’s MD does not have an account with any of these social media sites. Oniwon has sought the intervention of the State Security Service (SSS) to help curb the acts of fraud. Japan's cabinet has submitted a bill to the country’s parliament to allow the government to provide insurance cover for tankers importing Iranian crude. 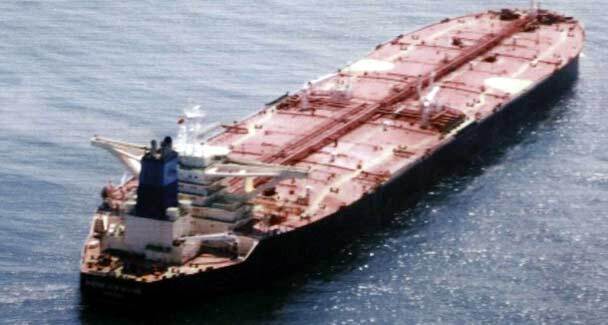 The bill would enable the Japanese government to offer insurance cover up to $7.6 bill for tankers carrying Iranian crude once the EU ban on purchasing and insuring Iran’s oil shipments takes effect on 1st July, Japan's Transport Ministry said in a statement on Monday to the newswires. According to Reuters, under Japanese law, shipping companies entering the country’s territorial waters must obtain liability insurance against damages from accidents, including oil spills and fatalities. Most of this coverage is offered by the Japan Shipowners' Mutual Protection & Indemnity (P&I) Association, which in turn obtains re-insurance from other P&I clubs and other insurers to cover potentially large claims. However, insurers in the EU, the biggest market for re-insurance, will be prohibited from covering liabilities for tankers carrying crude from Iran. Without the EU's re-insurance, liability provided by Japanese insurers would cover damages only up to $8 mill. The sovereign scheme would provide up to $7.6 bill more for a critical incident, with a maximum cover for oil spills at $1 bill given their higher frequency than other types of accidents. Japan's Transport Minister aims to finish signing contracts with about 10 companies operating tankers bound to Japan by 1st July to avoid a major impact from the EU sanctions, a transport ministry official said, according to Reuters. Japan's government is in talks with shipping companies over an annual fee for the additional coverage for Iranian crude of around 15 mill yen ($189,000) per tanker, the ministry official said, compared with an ordinary fee of 20 mill to 30 mill yen without any limit on destination. On 23rd January, under pressure from the US, EU foreign ministers approved new sanctions against Iran, banning oil imports across the EU, which also included the extending of insurance coverage for tankers carrying Iranian crude. In March, the US exempted Japan from financial sanctions against Iran. According to Reuters, several East Asian importers of Iranian crude, including China, South Korea, and Japan, are willing to maintain their imports from Iran to meet their domestic energy demands. Reuters also said that a senior NITC official claimed this week that the company had $1 bill in ship insurance cover to keep its fleet moving. The unnamed NITC official told Reuters that his company's Asian business was not affected. "We can trade with no problems at all everywhere in Asia." He declined to give figures for shipments, however, and his comments contrasted with evidence from Asian buyers that they were significantly scaling back purchases from Iran. These included a senior Chinese oil executive who also said this week that refiner Sinopec will cut imports by up to a fifth this year. Iran-based shipping sources said in April that Iran had been forced to deploy more than half of its national tanker fleet to store oil, due to the Western sanctions, Reuters reported. NITC lost its vessel insurance cover from European providers last year due to the sanctions imposed on Iran. It secured alternative cover mainly in Asia and also in Iran from privately owned Kish P&I. Kish P&I relies on state-run Central Insurance of Iran as its re-insurer. Any claim made against it would likely have to go through a sanctioned bank. Nevertheless, Kish has said it is confident it would be able to pay Western claims in the event of accidents. Last Monday, Washington added India and South Korea, but not China, to the list of countries exempt from sanctions that begin on 28th June - cutting companies off from the US financial system. Marquis has completed a number of expansions throughout the last year, having recently completed projects in Oklahoma, Wisconsin, Missouri and Illinois. At the beginning of this month Marquis put into operation its newly built 90,000-barrel terminal, which has the capacity to transfer over 250,000 barrels a week of crude oil from the Bakken Shale Reserve to barges on the Illinois River. The company has also broken ground on its Hayti, Missouri-based Marquis-Missouri Terminal with a barge loading facility. 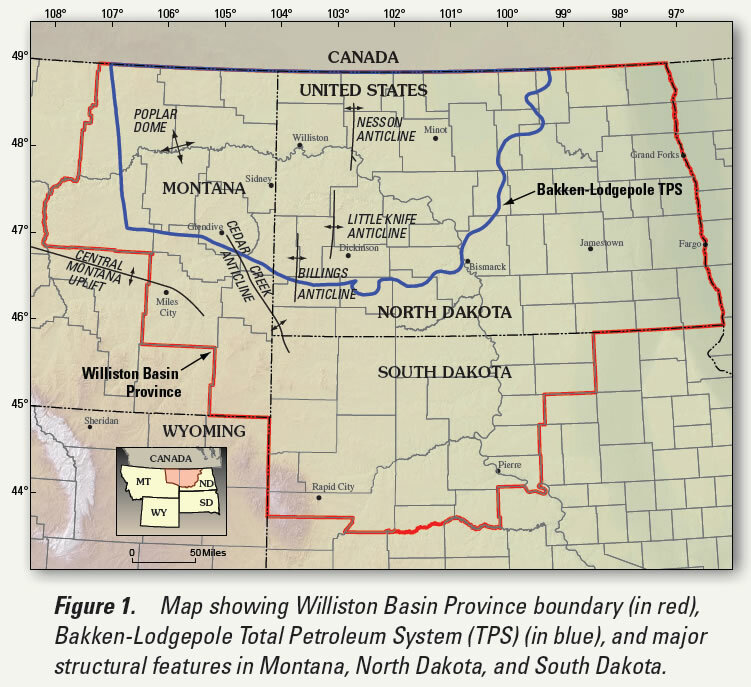 When the terminal is up and running in September this year, it will transport Bakken crude from Canada and North Dakota that will eventually be delivered to refineries located on the US Gulf Coast. It will be able to handle over 300,000 barrels of oil a week, with a storage capacity of 390,000 barrels. loading programmes for August were due to be announced. dated Brent, which is considered of inferior quality. Mediterranean grades are more competitive." 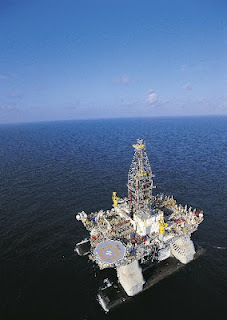 * Bonny Light: assessed at Qua Iboe minus 20-30 cents. due to be released at the end of this week. from Mercuria, they said. Prices were not immediately available. 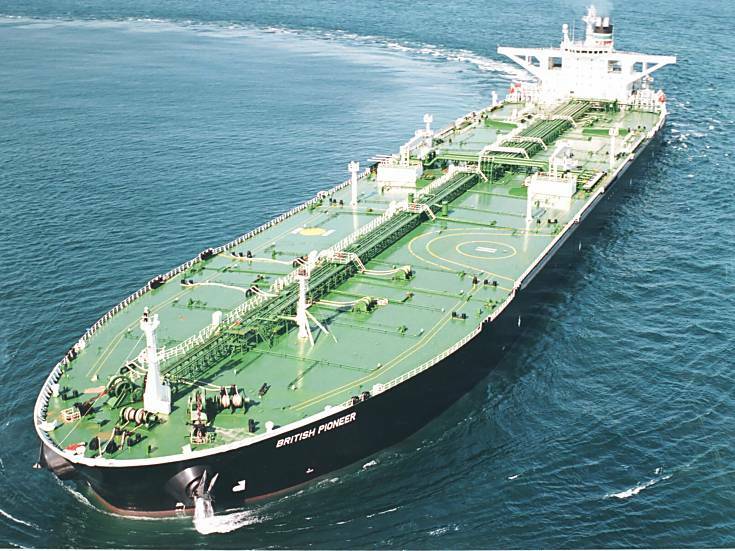 IOC last bought a Kissanje cargo from Sonangol. 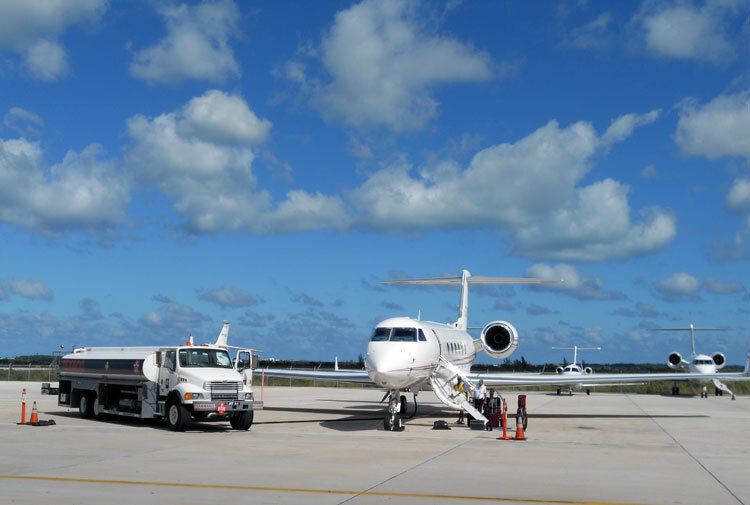 Poor jet fuel management to blame for plane crash? An investigation has begun into what caused a Dana Air jet to crash in Lagos, Nigeria. The incident killed all 153 people on board and a currently unidentified number of people on the ground. The two potential causes currently being investigated are a bird strike and a lack of fuel. 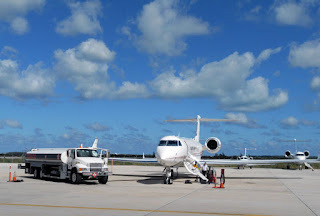 According to the Aviation Safety Network, the same aircraft was forced to make an emergency landing on 19 April 2010 after a number of birds were ingested as it departed from Lagos Airport. The other theory is that the aircraft ran out of fuel. If this were the case, both engines would have failed, leaving the pilot with no other option but to land somewhere in the highly built-up area. Three crewmembers, one of which was responsible for fuel management, were working in the airplane's cockpit at the time of the incident. A report outlining the findings of the incident will not be released for a number of months. Despite the deep financial crisis of the entire planet and especially Greece, Greek shipping remains at the top of the international league. Greek owners control a fleet of 3,325 vessels, totalling of 227 mill dwt with an average age of 10,5 years, Union of Greek Shipowners’ (UGS) president T Veniamis said at a conference in Athens on Friday. “You may know,” Veniamis said, “that my compatriot shipowners on my island, Chios, used to say that the sea gets sick but never dies. We fully share this belief and we try to follow their task. Of course, the overall environment has changed. The circumstances at sea are completely different today, compared to past years. “Sometimes they may be better but in many cases, they are adverse and complicated, demanding faith, strength and hard effort. Globalisation and its side-effects, the galloping development of marine technology, the exaggerated and not always disinterested measures at central and regional level, disturbing the smooth operation of vessels, the financial and lending illiquidity, the effects of the economic crisis on the freight market but also the scourge of piracy, are critical challenges for the shipping industry of the 21st century,” he said. With regard to the problem of piracy, in particular, the UGS President emphasised that the threat increases day by day, the reason being the absence of the strong political will of the international community to address it in the most effective way. 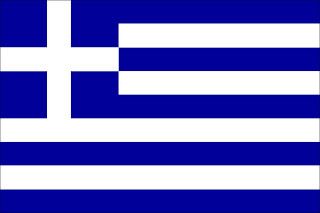 Recently, the Greek state, reacting to a proposal of the shipping community, adopted the necessary legislation to allow the use of certified private armed guards on board Greek flag vessels along the lines of similar legislation of other countries. However, Veniamis warned that it should be emphasised that the use of armed guards is not a panacea. “It does not constitute a solution of the problem but only a supplementary measure for the protection of seafarers, vessels and cargoes,” he said. Another issue of serious concern is the large number of technical measures imposed on shipping at international, or regional level, based on new environmental standards. In the context of international pressure for the reduction of green house gases from ships, unfortunately shipping has been identified as one of the potential convenient sources of revenue, but not proportionate with the low level of its contribution to air pollution. However, a positive move was that IMO was the first international organisation to adopt new international regulations for the reduction of CO2 emissions from ships, proving that it has the dynamism to continue the exclusive handling of this case. Since 2009 at national level, Greek shipping, despite the impressive foreign exchange inflow dependant on the freight market level - and the opportunity of employment offered on board ships and ashore, was deprived unjustifiably of the supportive services of its qualified administrative authority. The abolition of the Ministry of Mercantile Marine, in a country with one of the largest fleets in the world and the detachment of the Coast Guard corps, resulted in administrative de-regulation and confusion in the implementation of the proper policy for shipping operations and, in particular, for the closer ties between vessels and the national economy, which inevitably are seriously impeded, Veniamis said. The shipping community is always preoccupied and especially lately with the need for modernisation and upgrading of the entire maritime education system in order to optimise as much as possible the evident recent turn of youngsters to the seafaring profession. 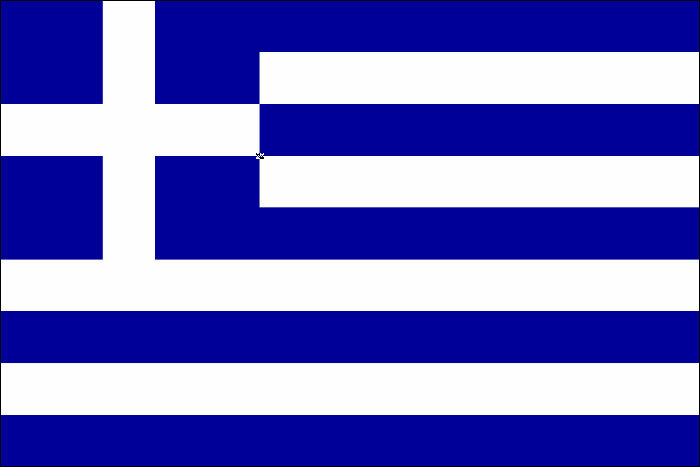 Despite the international economic crisis, which is adversely hitting world seaborne trade, Greek shipowners believe that they will successfully respond to the several big challenges and that their shipping will keep its leading role in the international league of “tomorrow”. “The above statements cover the position and progress of Greek shipping today”, Veniamis said. “Taking the opportunity of this gathering, I would also like to announce the following. “The shipping community is prepared to intervene most effectively in order to give its due support to the hardly tried segments of our society. It has done so several times in the past, personally and collectively, with care, responsibility and also deep and disinterested human and patriotic feeling. And always without publicity. “The UGS has already at its disposal the necessary capital from contributions, especially from our colleagues, but also from their collaborators all over the world. We are in the process of setting up special projects, following thorough research, in order to safeguard the best possible disposal of the collected sums. “You will receive more detailed information on this endeavour shortly,” he concluded. Southbound on the NS Buffalo Line at MP: BR 296 with CP 8869 & CP 8514. 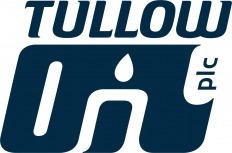 Tullow Oil has made a light oil discovery off the coast of Cote d’Ivoire on Block CI-103. The drilling of the Paon-1X well, the first well to be drilled on the block, encountered good quality light oil in a Turonian fan system. Paon-1X, drilled by the Eirik Raude, encountered 31 meters of net oil pay in a gross interval of 74 meters of turbidite sands. Pressure data indicates that this interval contains a continuous hydrocarbon column and samples show that it is a light oil of 41 degrees API. Further analysis is required to determine reservoir quality and the extent of the fan system. Following completion of logging operations, the well will be suspended for possible future use in appraisal and development operations. Participants in the drilling of the Paon-1X well are Tullow Oil (operator), Anadarko Petroleum, and Côte d’Ivoire’s state-run firm Petroci. HOUSTON -(MarketWatch)- U.S. refiners will soon expand their growing fuel export business to include gasoline sales to West Africa, Valero Energy Corp.'s /quotes/zigman/186158/quotes/nls/vlo VLO -1.50% Chief Executive Bill Klesse said Thursday. U.S. refiners have been able to process the discounted oil and natural gas available from the U.S. energy boom into fuels priced below those made by foreign competitors. The domestic energy boom has helped revive businesses in an industry that had been living on razor-thin margins for years. Even as domestic fuel demand remains flat because of higher vehicle fuel efficiency and a lagging economy, demand has grown for U.S gasoline in Latin America and diesel in Europe. The U.S. will soon be able to export gasoline to West Africa, Klesse said. "You will see gasoline move to West Africa from the Gulf Coast," Klesse told an audience at the UBS Global Oil and Gas Conference. "That's something we haven't seen before." Valero, the largest independent refiner in the U.S., will increase its diesel production to about 40% of total fuel output to take advantage of foreign demand, Klesse said. "We continue to see distillates exported into the marketplace, and the world is paying up," Klesse said. U.S. fuel net exports averaged 840,00 barrels a day for the first three weeks of May, according to the U.S. Energy Information Administration. That compares to net imports of 464,000 barrels a day during the same time last year. Increasing U.S. production of light, sweet crude oil in south Texas and North Dakota has pushed down raw material costs for refiners. 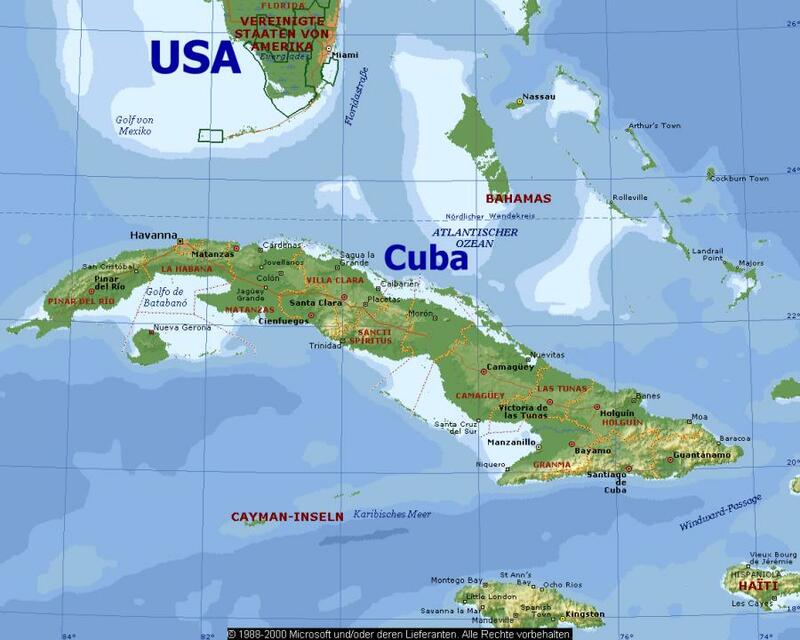 Domestic oil production will eliminate the need for imports of light, sweet crude into the U.S. Gulf Coast by the beginning of 2014, Klesse said. That's a year earlier than most analysts have forecast. 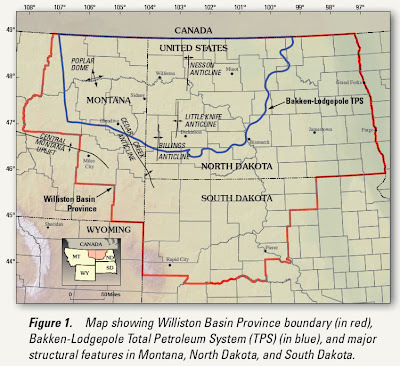 "The oil is coming, and it's coming significantly," Klesse said. U.S. refiners are also benefiting from low prices of natural gas, which they use to make fuel blendstocks. Natural gas prices have sunk to a decade-low as the boom in production has created a massive supply surplus. The low price in natural gas has helped the U.S. refining industry defend itself even as mega-refineries topping 1 million barrels a day of production are built in Asia. Although Reliance Industries Ltd. in India and other mega-refineries have a huge advantage in production scale, they pay much higher prices for natural gas and oil than their U.S. competitors, Klesse said. "Everyone was concerned that Reliance was going to swamp us," Klesse said. "That hasn't happened. The competitive advantage of natural gas is absolutely huge."